A man named Xiahn, formerly known as Max, was so obsessed with the Korean culture that he underwent 10 operations to look Asian. Asian culture is very famous throughout the world and it has attracted a lot of people. Some of the people buy memorabilia of the Asian shows, some people dress like their favorite characters that were shown at those shows, others learn how to speak an Asian language. But a Brazilian has done which no one can think of. 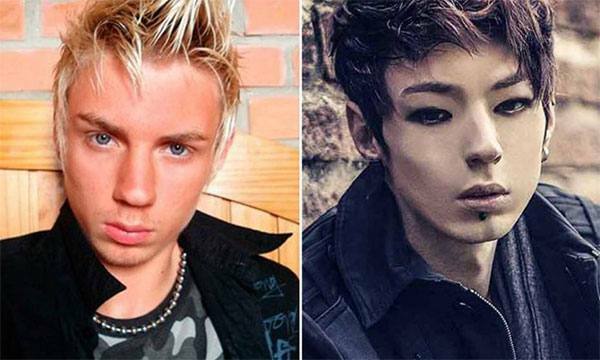 Max, who is now known as Xiahn, became such a fan of the Korean culture that he had undergone 10 cosmetic operations in order to transform his Caucasian complexion that lead him to look like a Korean guy. It is really a very astonishing job to do and even more astonishing is the fact that lead him do this. Xiahn was a lover of Korean dramas and pop music. He told the Zero Hora a Brazilian newspaper that, “I wanted my eyes to be slanted so I tried by pulling my eyes. This is what I always wanted.” He always wanted to have dark hair and slanted eyes. He spent a total amount of $3,000 and underwent 10 cosmetic operations so that he may look like an Asian man. In order to make his hair black, he dyes them every day and uses dark eye contacts.